A Central Oregon man is alive and safe after being rescued by helicopter after crashing a Wittman Tailwind in the rugged wilderness outside of Grants Pass, Oregon. 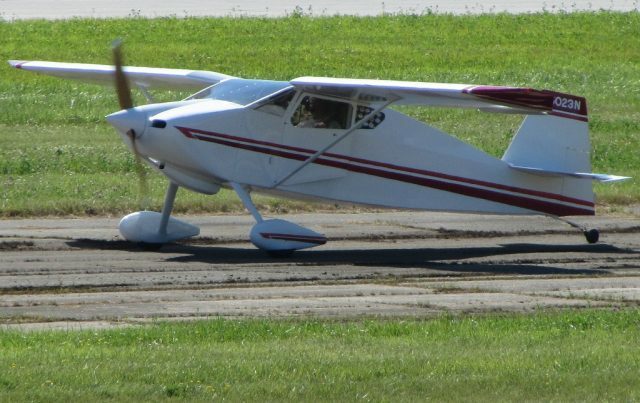 The man, Steven Paul Dawson, 34, said that he’d purchased the Experimental airplane the week before and had just finished readying it for flight. Such things happen all the time. Well, kind of. See, it turns out that Dawson isn’t a pilot, well, at least not a registered pilot, and this isn’t his first run-in with regulators. Last September he was apparently teaching himself to fly a different homebuilt and attracted the attention of the entire airport community, including the fire department. The first responders were standing by, preparing for a crash after onlookers were alarmed by Dawson’s attempts to get the taildragger somewhat safely back on the ground. Eventually, he walked away from the hard landing, but only after running the plane out of gas and taking out a number of runway lights, which the airport management says will cost around $2,000 to replace. The office subsequently padlocked the plane, reportedly until Dawson reimbursed the county for the cost of the lights. The FAA doesn’t have much jurisdiction in the case, as they can’t suspend Dawson’s license because he doesn’t have one. The would-be pilot is currently facing other charges in Jackson County that are unrelated to the aviation hijinks, though charges could be leveled by local law enforcement, and he could wind up getting charged for the helicopter rescue, as well. The FAA has plenty it could do… It can besides certificate actions levy fines, it can refer the offender to the US Attorney under the LAW. By the time they get through billing him for all the damage he’s done, plus the helicopter rescue he will have spent enough to get a private license with an instrument rating. Arrest him and throw away the key. He is as dangerous as the sob that crashed the Cessna 414 near Fullerton. These people should be incerated. If you don’t have a valid airman certificate, then you either haven’t obtained the requisite training or your license was revoked because you did something incredibly stupid and got caught. I concur that the FAA doesn’t have much in terms of jurisdiction over an idiot like this – he has no license to take away and he’d just default on any civil penalty. But I would hope that the aviation community would shun clowns like this and make it impossible for him to continue to operate. People who operate without the appropriate license and with a total disregard for the regulations are a tragic statistic in the making. Like the guy with the 414 who killed four innocent people on the ground in California, it’s not a question of IF, but a question of WHEN their stupidity will catch up with them and how many innocent people they might hurt or kill when they take themselves out of the gene pool. One should also remember that the costs in terms of lawsuit settlements, increased insurance premiums, and more are passed on to all of us who follow the rules, so yes, this is everyone’s business because this kind of stupidity affects us all. DON’T rescue the idiot. It’s bound to happen again. 49 U.S. Code § 44703. Airman certificates.